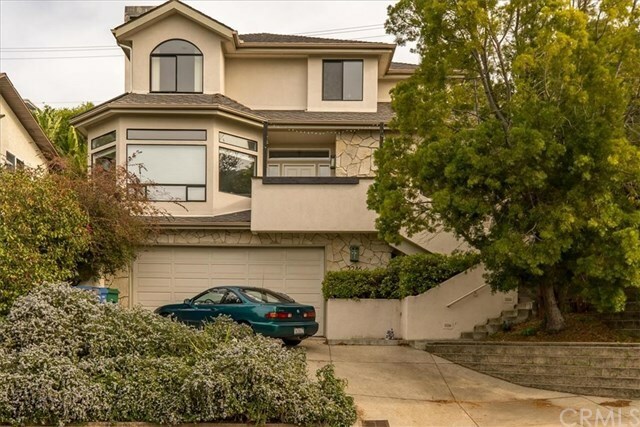 Spacious 4 bedroom 3 full and 2 half bath home nestled in Monterey Heights, considered the best micro climate in San Luis Obispo. Near Cal Poly and close to Downtown Slo, this home features an open floor plan, two large living rooms, open kitchen, fireplace and loads of natural light. Mountain and city views from the living room, bedroom and deck. Newly painted interior, spacious bedrooms and bathrooms, upper level air conditioning, master suite with office area offers possible split opportunity (consult with City of San Luis obispo). Owner has blueprints of the home and was told by previous owners Cal Poly students designed the house!